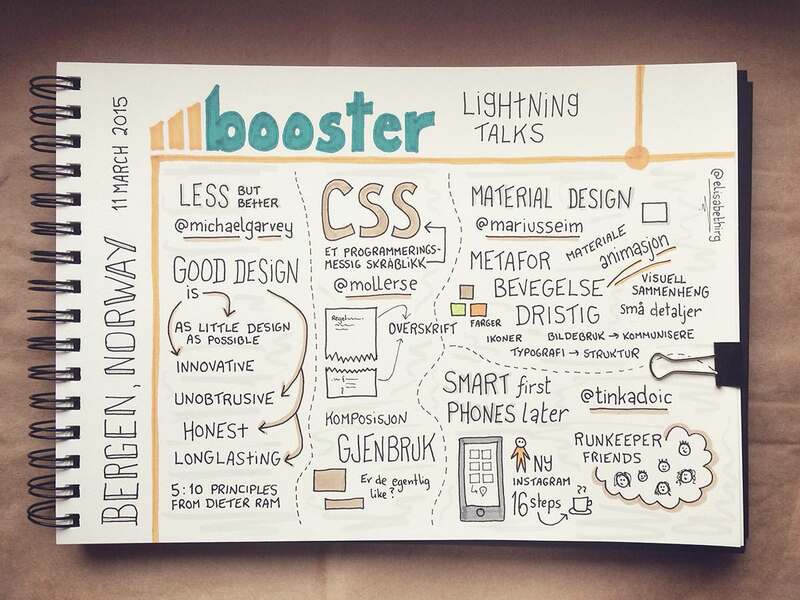 It was about time I attended a conference in my hometown Bergen! “A software conference for the whole team” with keynotes, lightning talks in three tracks – and lots of hands-on half-day workshops. No less than seven tracks can make it difficult to pick, but I was happy with my choices. 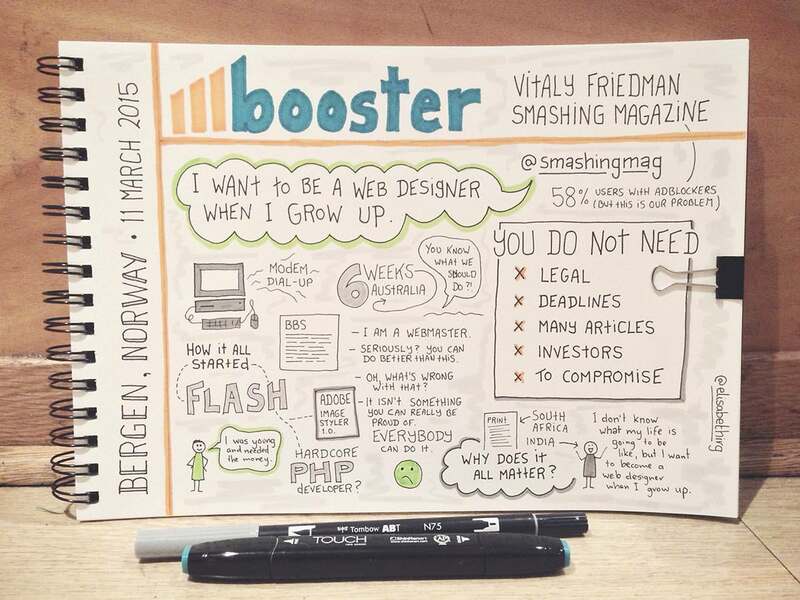 Vitaly Friedman held a lovely keynote with the title “I Want To Be A Web Designer When I Grow Up”. Wonderful stories from his own start in the industry, about Smashing Magazine over the years – and their readers around the world. 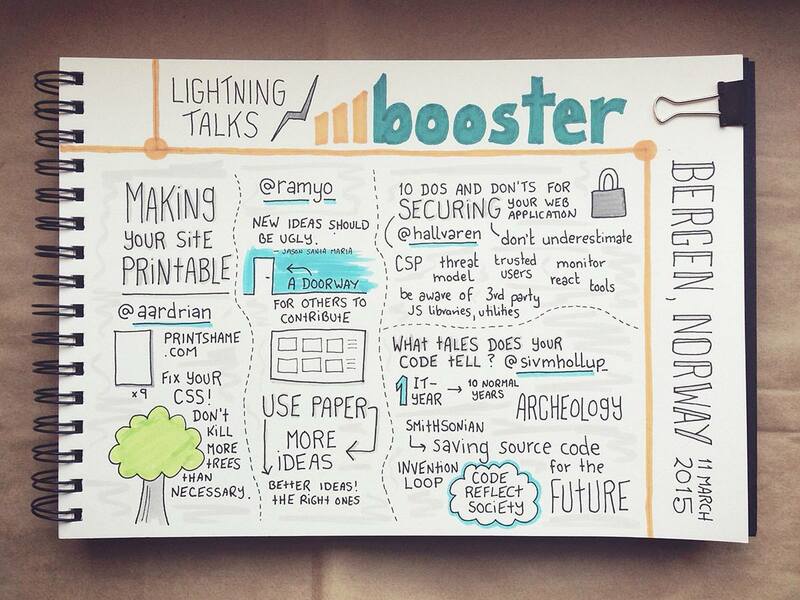 Lightning talks! – Making Your Site Printable by Adrian Roselli, Use more paper! by Ram Yoga, 10 Dos And Don’ts For Securing Your Web Application by Hallvar Helleseth, What Tales Does Your Code Tell? by Siv Midtun Hollup. 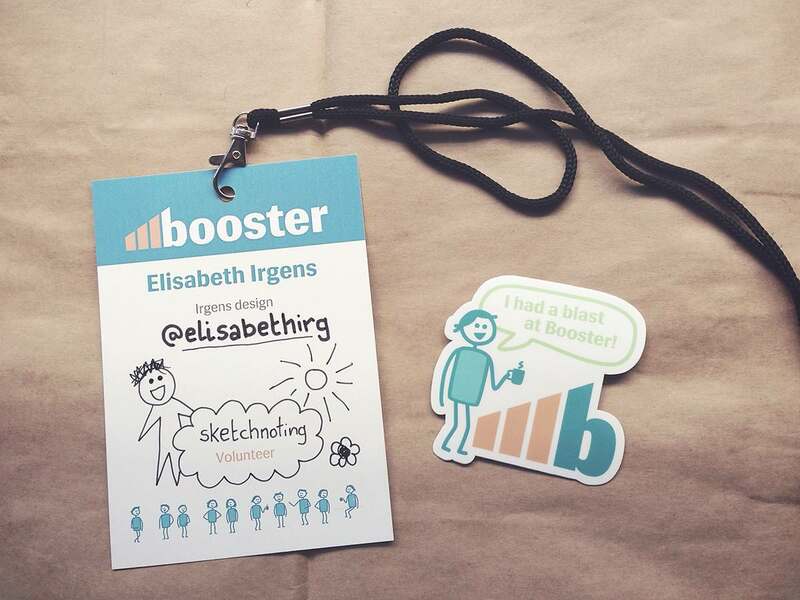 More lightning talks! – Less, But Better. by Michael Garvey, Programmeringspråket CSS by Stian Møllersen, Material Design by Marius Seim, Smart First, Phones Later by Tin Kadoic. I attended three half-day workshops during the conference. 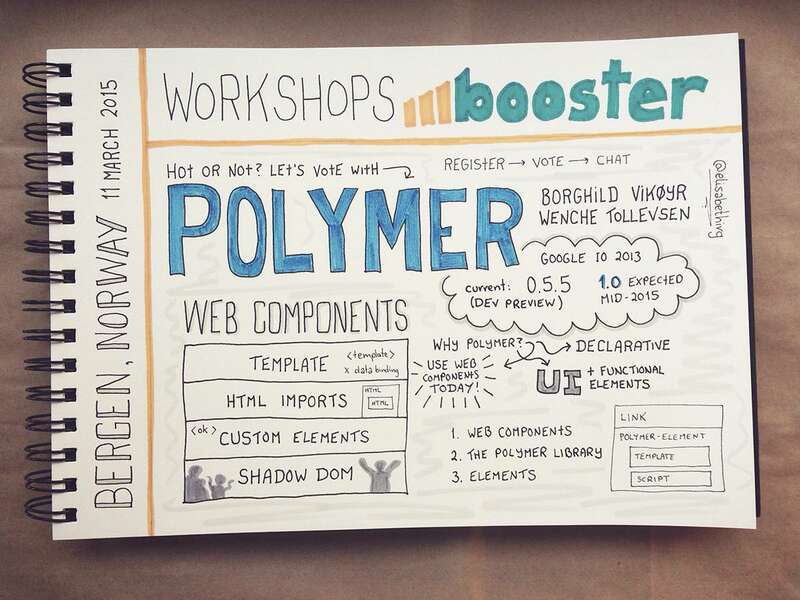 Borghild Vikøyr & Wenche Tollevsen held a coding workshop on building an app with Polymer. I knew this would probably be too technical for me, but even though I couldn’t quite follow the tasks – I found it really interesting and learnt a lot. 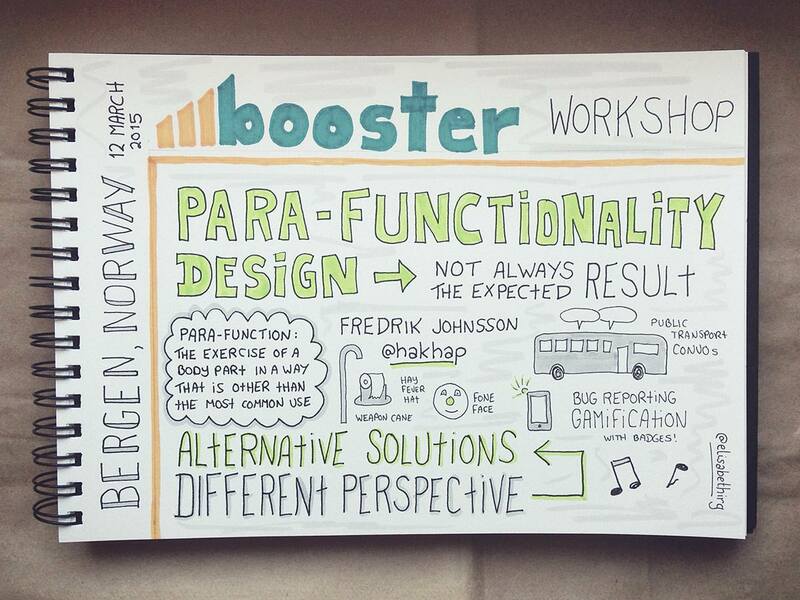 Fredrik Johnsson gave a fun workshop on using para-function to get unexpected results. Lots of laughs this morning. 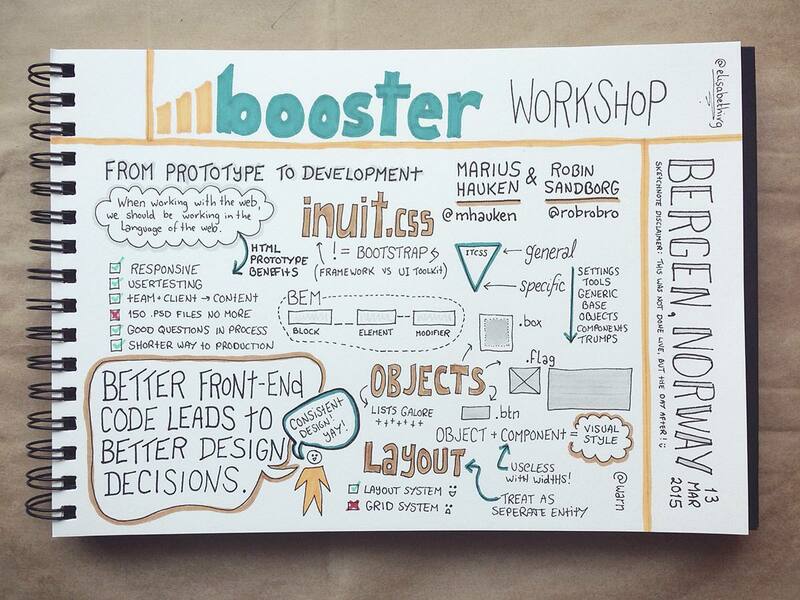 Marius Hauken & Robin Sandborg shared their process from prototype to development and blew my mind with awesome tricks. So much stuff I have heard about, but that has been “out of reach” and hard to try learn on my own. 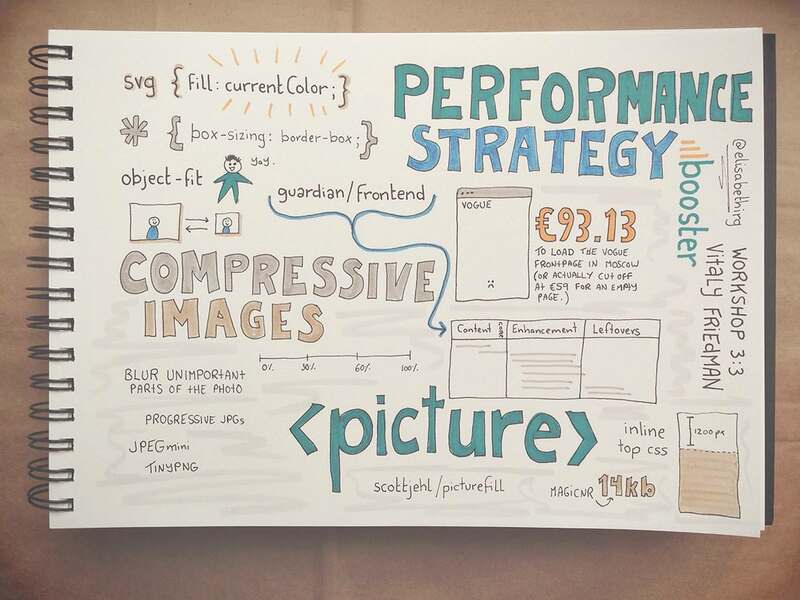 Really looking foreward to upping my CSS after this workshop. 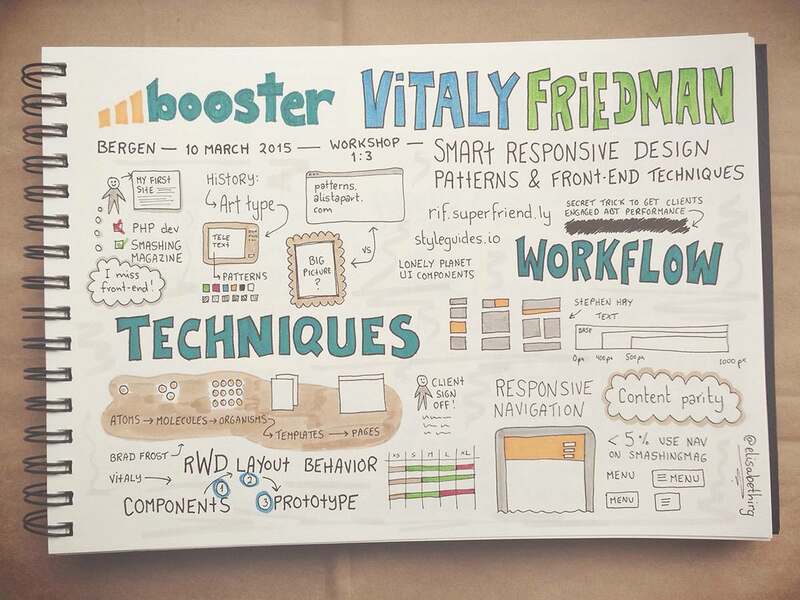 Vitaly Friedman also had a workshop onresponsive design patterns & front-end techniques. Lots of great performance stuff which I am getting more into these days. 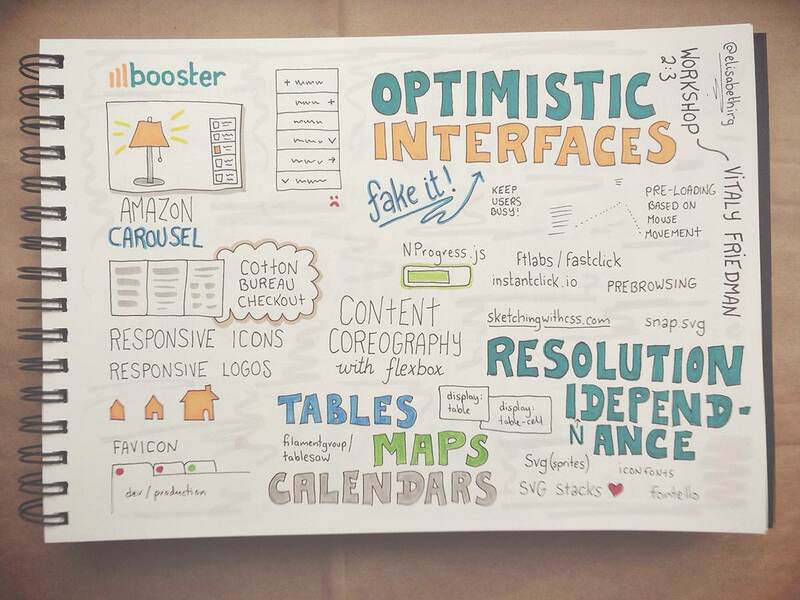 And a whole day of sketchnoting…!